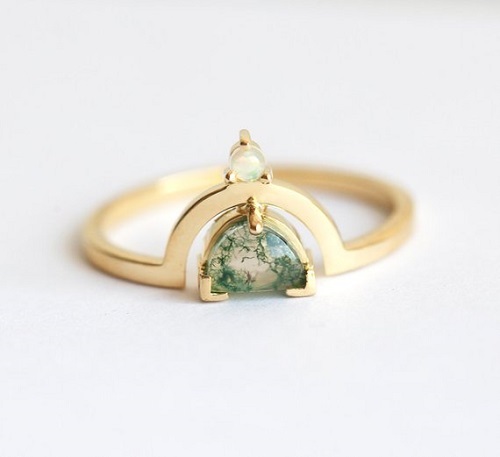 Searching for an engagement ring that is interesting, unusual and unique? We have you covered. Your ring is the one piece of jewellery that you will likely wear day in and day out for the rest of your married life. Having a ring that feels right for you is therefore essential. To help you find some inspiration for your engagement ring, we have put together some of our favourite unique rings. Jasper is a very interesting stone with a Mohs hardness rating of 7 to 7.5 that comes in a wide variety of colours and types. 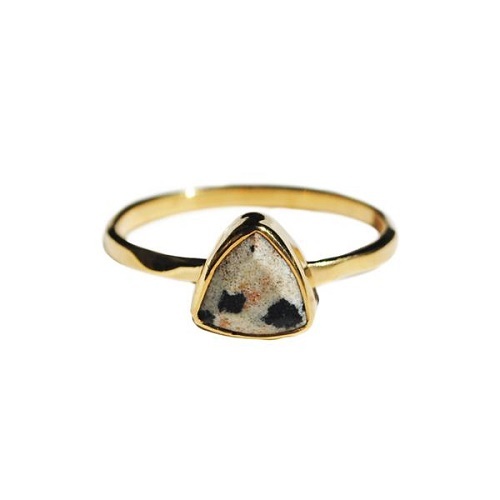 Each Jasper stone is one of a kind, making this an excellent choice for those wanting a ring that truly stands out for all the right reasons. This ring uses a triangle cut in gold, with dalmatian jasper taking centre stage. It would also work well in any other metal and in other jasper stones such as ocean, fancy, green, red, or brown. With its intricately twisted band that features tiny pave stones and two tiny diamonds on each end, this vine-inspired ring works especially well in rose gold. 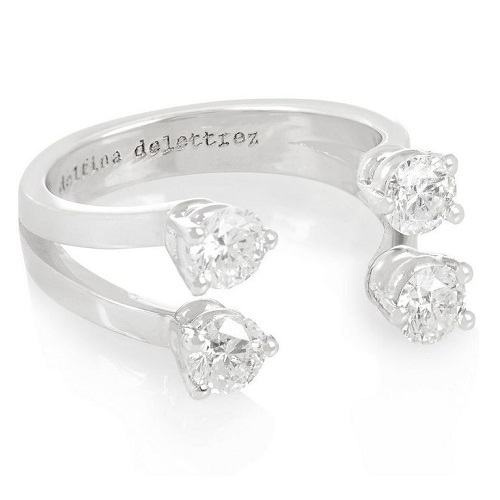 This ring would appeal to romantics and feminine brides-to-be who favour pretty, delicate designs. It would also work well in yellow gold, and the stones can be changed to just about anything from black diamonds to morganite. The twisting design of this ring brings out the pave stones to perfection, giving you a sparkly, classic ring that will never go out of fashion. 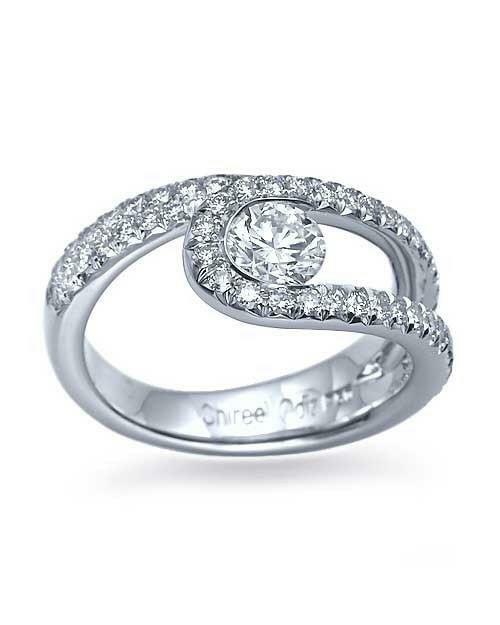 It works very well in platinum, with the cool tone of the metal off-setting the diamonds perfectly. You could also add in some colour in the centre stone, choosing a ruby, emerald, tanzanite or something more unusual, like an opal. This ring is unusual on many levels. The crescent design adds a touch of drama that works well with the moss agate. This interesting stone offers lots of drama, setting off the gold of the setting and creating a ring that is sure to stand out anywhere. This style could also work in any other metal and stone, too. 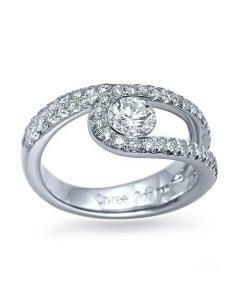 The design of this ring allows you to choose smaller tones rather than a bigger, pricier stone. Each of the four stones is carefully positioned to hug your finger, adding subtle sparkle. 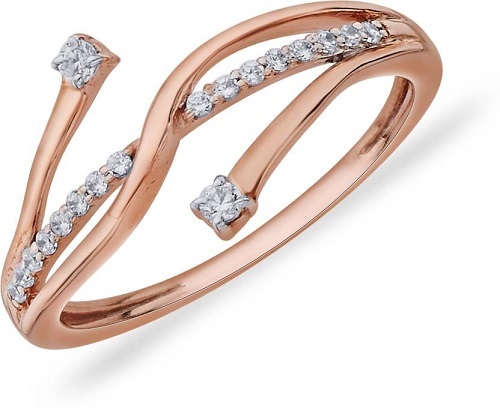 The white gold metal of the ring helps to maintain its subtle appeal, but it would also work well in rose or yellow gold as well, or even platinum. 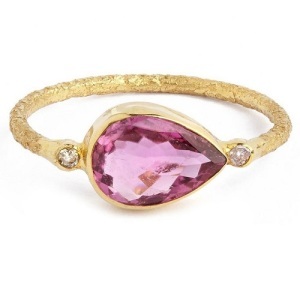 Tourmaline rings offer a great alternative for those who are not too keen on diamonds. Those stones come in a variety of bold colours and styles. A deep pink tourmaline stone sets perfectly against a twisted gold band, offering a fresh, fun ring that is certainly not too traditional or boring! Tiny pave diamonds add the final touch. Another good choice for those who prefer something different, this colourful ring is romantic, floral and delightful. 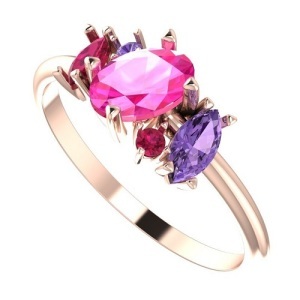 Pink and purple sapphires are set on a soft rose gold band in a floral arrangement. You could choose your favourite stones, try coloured diamonds or opt for unusual stones with interesting patterns to further mix things up with this style. Although opal is not always the best stone for rings, as it does not have a very high hardness rating, it can work well if the stone is not too large or if it is cut well. 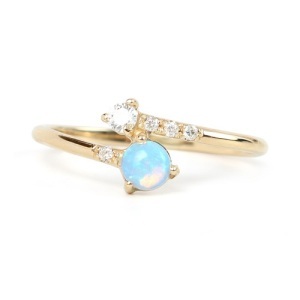 The style of this ring crosses over, with a diamond and opal at each end and a gold band that accentuates both stones perfectly. Finally, from our very own Fynbos Collection, we have the exquisite King’s Queen Solitaire White Gold or Platinum Fynbos Flower Diamond Engagement Ring. 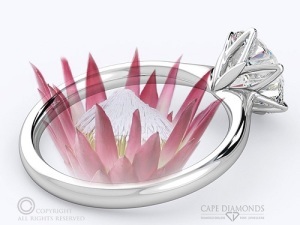 This ring takes its name and inspiration from one of South Africa's most recognised fynbos flowers, with a beautiful design that brings to mind wide open spaces, natural splendour and clear blue skies. Find your perfect ring at Cape Diamonds or let us help you plan your dream ring today. Contact us to learn more about custom engagement ring design in Cape Town and surrounds. The Biggest Risks of Ordering Engagement Rings Online » « Looking for Genuine Engagement Ring Advice?